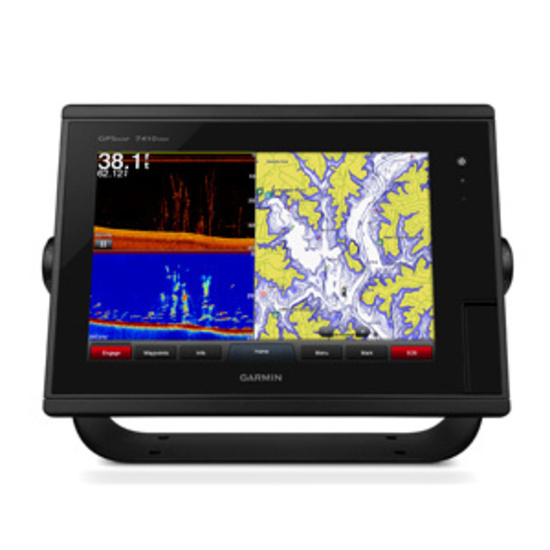 Garmin GPSMAP 7410xsv | Peninsula Marine Ltd.
Garmin 7410xsv is a 10″multi touch widescreen chartplotter/sonar combo. The ultimate package with touch screen capability, widescreen and built in sonar.The sonar built in includes 1kW capability dual chirp and chirp DownVu and chirp SideVu that will provide outstanding display of the underwater structure, Includes high sensitivity internal 10 Hz gps antenna- heading and position refreshed 10 times per second. Dual CHIRP sonar provides amazingly clear target separation and definition because it puts even more energy onto the target than CHIRP. It gives you the ability to show low/high, med/high or low/med on the screen at the same time, enhancing your ability to distinguish between game fish and balls of bait fish.